Today I will do what I have been trying to do for long time, but was so busy with other stuff. It is writing about Logical Theory, of which many of Thais are lacked of. Let's start with Compound sentences of the form "If P, then Q". It can be understood best as a "Promise" or "Standard" checker. Truth for the whole compound sentence is decided on the basis of whether you think the promise is kept or not? IF there is a puppy in your room, then I will give you $10. Suppose there is really a puppy in your room and I give you $10, then I have kept my promise and the whole "If P, then Q" sentence is TRUE. Suppose there is really a puppy in your room, but I do not pay $10, then I have broken my promise and the whole "If P, then Q" sentence is FALSE. What is there is no puppy in your room, but I give pay $10 anyway? Did I break the promise or not? ORDINARY SPEAKING LANGUAGE ARE NOT CLEAR ABOUT THIS CASE. In Logical theory which applied in Mathematics, Computer Science, Engineering, etc. clear instruction one way or the other must be carried out without ambiguities, and in this case by giving $10 is viewed as the promise is being kept. "If P, then Q" is TRUE when P is FALSE and Q is TRUE. In speaking language, people is allowed to be generous and honest in a promise at the same time. 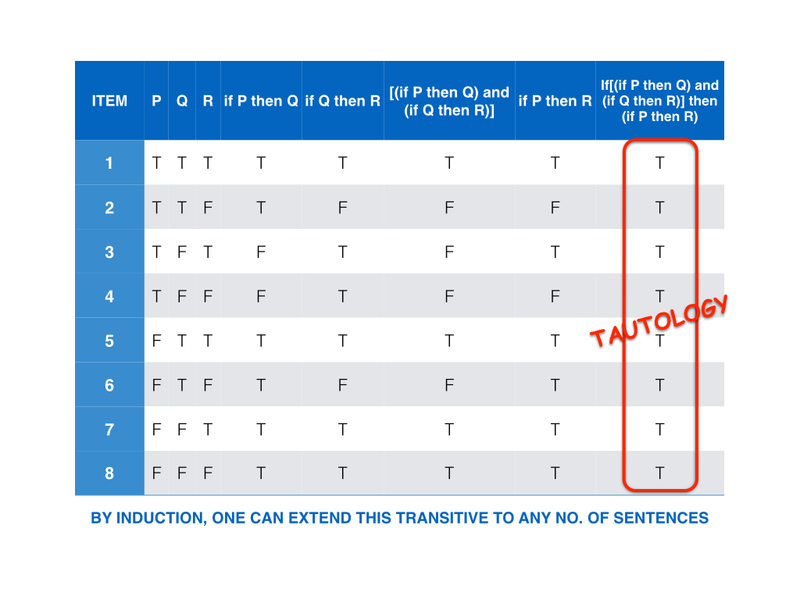 TRUTH table below illustrated what was described above. T=TRUE, and F=FALSE. Please note: the 3rd row is where speaking language is in ambiguity, i.e. unclear. 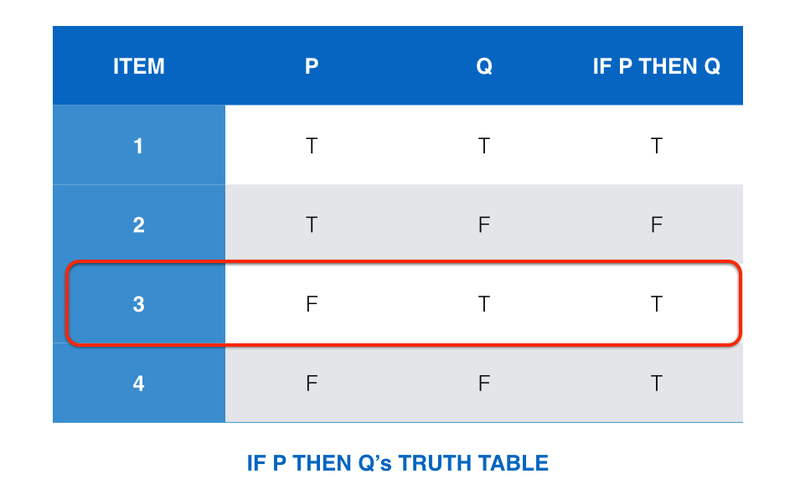 "If P, then Q" can also be used in a chain of sentences such as "If [(if P, then Q) and (if Q, then R)], then (if P, then R)" which is example of a TAUTOLOGY, a sentence which is always TRUE regardless of the TRUTH of P, Q and R.
Using TRUTH TABLE is the easiest approach to prove any logical theory, IMHO. I hope that will help! In addition, many people tend to break their promise, because of prejudice, or other personal reasons, and we can also make use of this theory to prove they wrong.